I’m not really one for documentaries, and I almost never run out to see them in the theater. However, this week I made a rare exception for The Salt of the Earth (2014), winner of the Special Jury Prize at the 2014 Cannes Film Festival’s Un Certain Regard selection and nominated for an Academy Award for Best Documentary Feature. 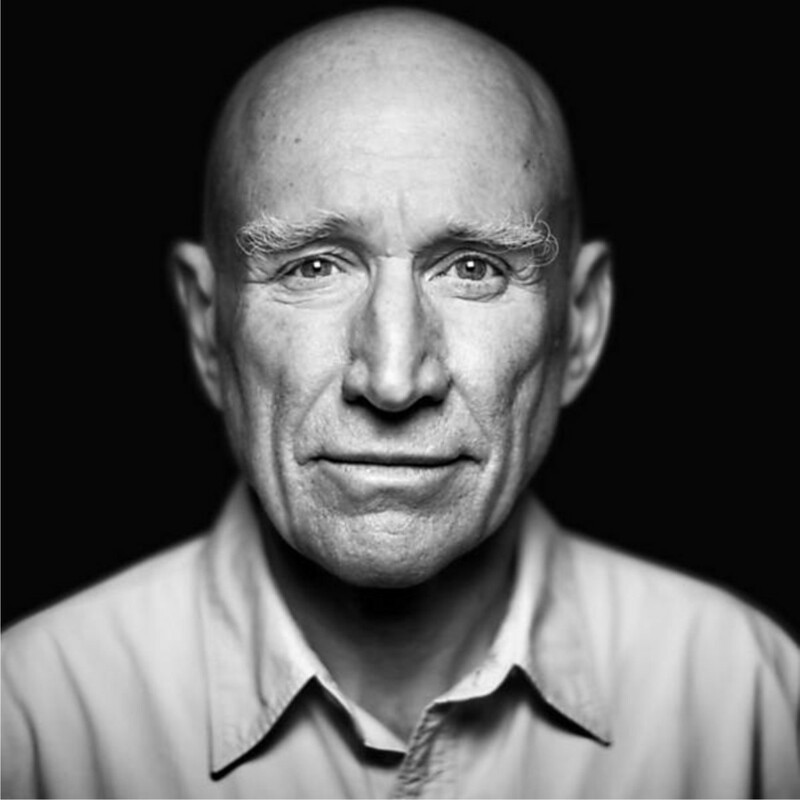 In it, German director Wim Wenders explores the life and work of social documentary and environmental photographer Sebastião Salgado, whose haunting black-and-white images have bridged cultural, ethnic, and socioeconomic barriers for over four decades. Trained as an economist, Salgado first made the switch to photography after commandeering his wife’s camera. He started as a photojournalist, but The Salt of the Earth focuses on the self-assigned projects Salgado undertakes for years at a time. He’s been a witness to the human condition everywhere: photographing the Rwandan genocide, the end of the Persian Gulf War, Sudan, and all around South America. 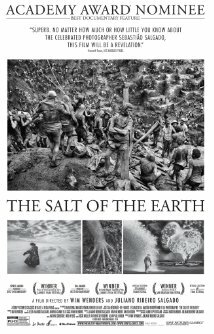 The Salt of the Earth is captivating in the same way that Salgado’s images are similarly evocative, painful, and compassionate. They demand your attention, but they also picture deeply private and traumatic events in the lives of Salgado’s multifaceted subjects. At just under two hours long, the film documents a good chunk of Salgado’s portfolio. His Portuguese-accented French makes it easy to get swept up in the photographer’s stories, which animate a film that is largely a slideshow of the pictures he has made over the years. If a picture is worth a thousand words, then he poetically fills his images with details about the people he met, the horrors he saw, the work of humanitarian aid workers he observed. He confesses that what he witnessed in Rwanda and in the neighboring Congo (where thousands of survivors fled before being forced to return home) affected him so deeply that he began exploring nature and wildlife photography as a way to move on from the trauma. The documentary, like Salgado’s work, is both very subtle and deeply profound. I had no idea that his greatest achievement may be what he and his family have created in their corner of Brazil’s Atlantic Forest. Having grown up on his father’s farm, set in a lush subtropical paradise, Salgado was devastated in the 1990s that his childhood home had turned into a dry wasteland, unable to maintain life due to advanced natural degradation, rampant deforestation, and unchecked exploitation of natural resources such as iron ore. Lélia innocently suggested that they simply plant trees to rejuvenate the land. Seventeen years after establishing the Instituto Terra, the land is green again, populated with millions of trees, numerous animal species once threatened with extinction, and vibrant, free-flowing natural springs. It is remarkable what they accomplished in just fifteen years, and it is extremely touching that the Salgado family gifted the land to Brazil’s national parks service so that everyone may enjoy the family’s Private Natural Heritage Reserve. I broke out in tears when, at the end of the film, Salgado reminisces about the transformation that his father’s Fazenda Bulcão (or Bulcão Farm) underwent, at peace with the notion that the land has returned to its robust natural state and should remain that way long after he is gone. What a beautiful way to accept the transiency of our existence. And what a legacy. Lélia and Sebastião Salgado at the Instituto Terra. Considering that Salgado has seen—and shown us—the best and worst that people have to offer, The Salt of the Earth ends on a hard-won, optimistic note. The coda is also poignant because it was virtually the only scene in which Salgado speaks his native language. In the beginning, it had puzzled me as to why he was always speaking French. (He and Lélia moved to Paris in the late 60s or early 70s, and they are still based in the city where they raised their sons.) Eventually, it dawned on me that he likely spoke French so that his interviewer, Wim Wenders, could understand him. This delighted me to no end, for I have a tremendous soft spot for scenes and/or whole relationships played out between two or more people who are speaking a language that isn’t the mother tongue to either one of them. So, it was startling but oh-so poetic that Salgado should speak in Portuguese at the end, signaling a homecoming after decades abroad, circumnavigating the globe in search of humanity.